A major part of our trips, to the Disney theme parks and beyond, is eating our way through our vacation. Disney offers some of the most mouth watering meals paired with experiences not found anywhere else. You can dine with characters or in a romantic setting with a loved one. Either way, the food and ambiance are a ‘not to be missed’ part of every Disney vacation. Disneyland, in particular, does not offer a dining plan with their vacation packages. Many of us, that have been to Walt Disney World, have become accustomed to that all-inclusive feel that the Disney Dining Plan offers us. What Disneyland packages do offer are Disney Dining Vouchers available for pre-purcahse with your vacation package. If eating with Disney characters is a priority on your next visit to Disneyland, you should consider the pre-paid meal vouchers. Goofy’s Kitchen in the Disneyland Hotel is a wonderful way to cook off for a buffet meal while meeting Goofy and some of his pals. Be sure to bring your autograph book and camera! There are two different pre-paid meal voucher packages to choose from and both include all taxes and gratuities. 1. Breakfast with Minnie & Friends – at the Plaza Inn located in Disneyland Park. 1. 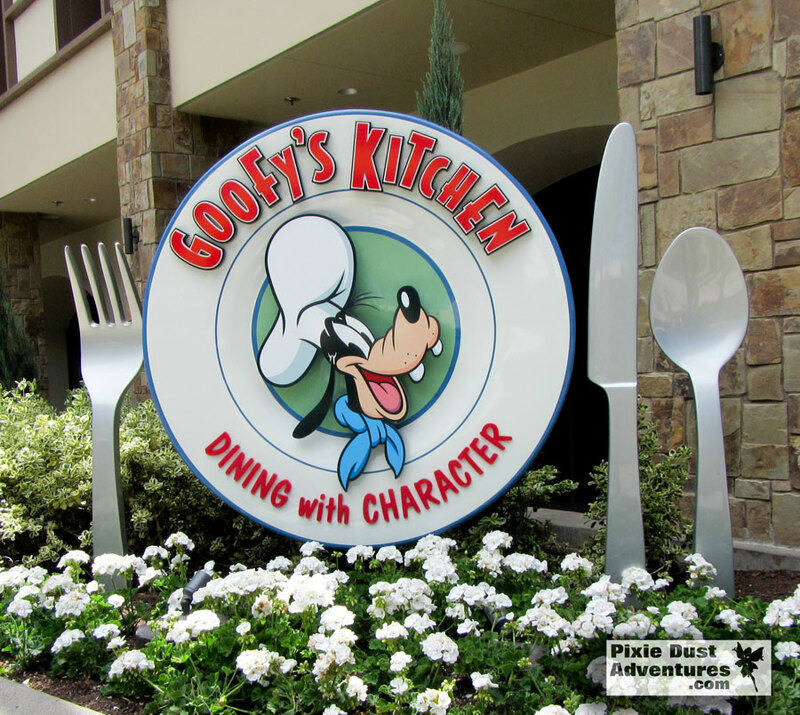 Goofy’s Kitchen Breakfast or Dinner – A delicious buffet in the Disneyland Hotel with Goofy and various Disney pals. 2. Donald Duck’s Seaside Breakfast – Eat with Donald, Daisy & Stitch at Disney’s Paradise Pier Hotel. – You will still need to make reservations for your meals up to 60 days in advance and reservations are recommended. As your travel agent, I am here to assist you with this if you need me to. – You will need to redeem the vouchers, that come with your package, to pay for your meals. – If for some reason you are not able to get a reservation, you can use the meal vouchers to purchase food, in a single location, single person per voucher, in Disneyland Park or California Adventure Park. You can redeem them for up to the amount that the voucher is worth. Gratuities are not included when the vouchers are redeemed at other locations for face value & not change is given. – These meal vouchers can be added at any time. If added after your final payment, they must be paid for in full and will be subject to the standard change and cancellation policies.